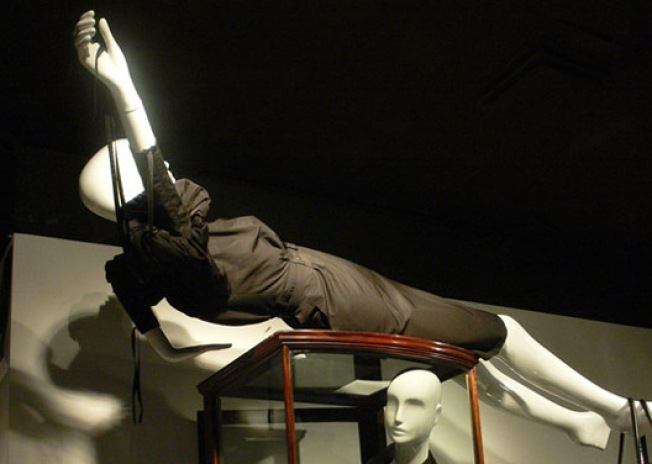 The blog Modelizing captured this picture of a very happy mannequin whooping it up in the window of Barneys. Technically, she's celebrating the Olsen twins' book Influence, but since Barneys is also displaying paintings of the nation's 43 previous first ladies plus both candidates' wives, we'd like to think there's a political meaning here. Maybe she just get back from a champagne date with Michelle Obama's portrait.